The headboard, side rails and foot board are all upholstered in a blue linen fabric. 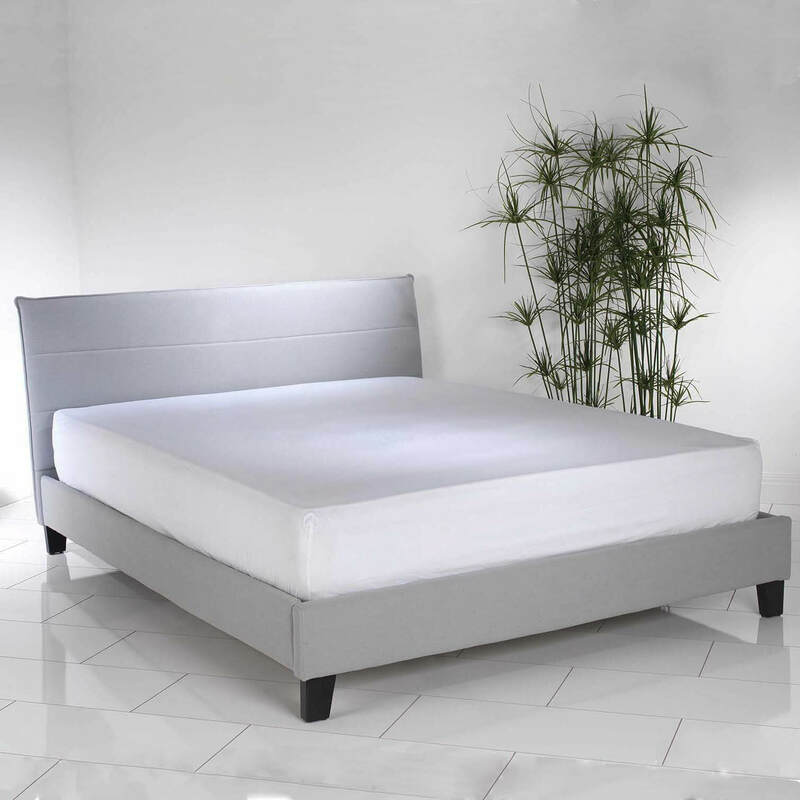 This bed is very sturdy once assembled and has two central support feet supporting the central beam of the bed. 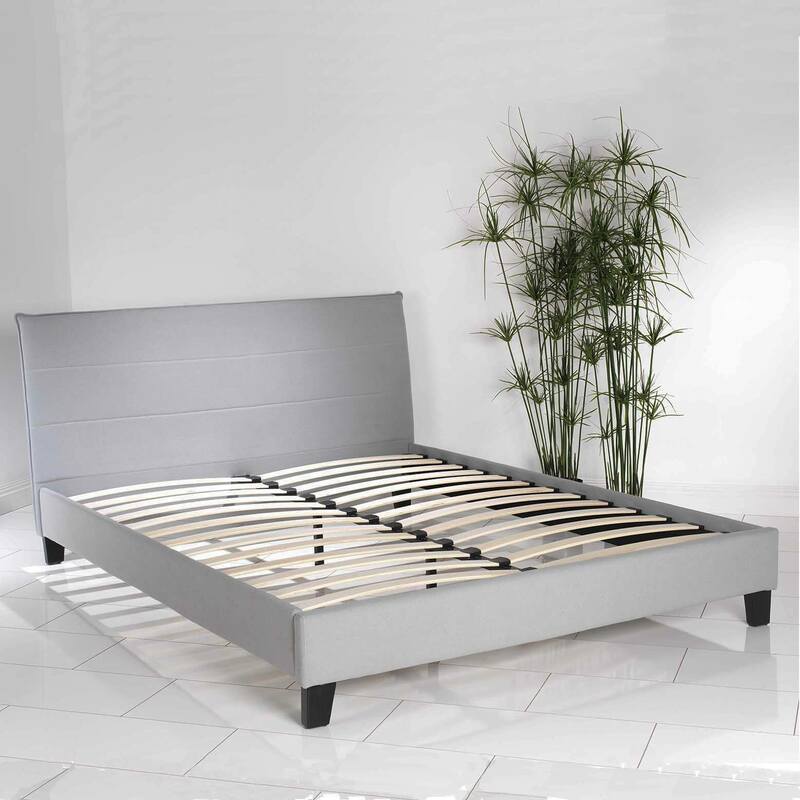 There are also Beech sprung wooden bed slats which give you more support for perfect nights sleep.